Eugene P. Elfington didn't move very far today. In fact, he only made it to the ceiling fan. 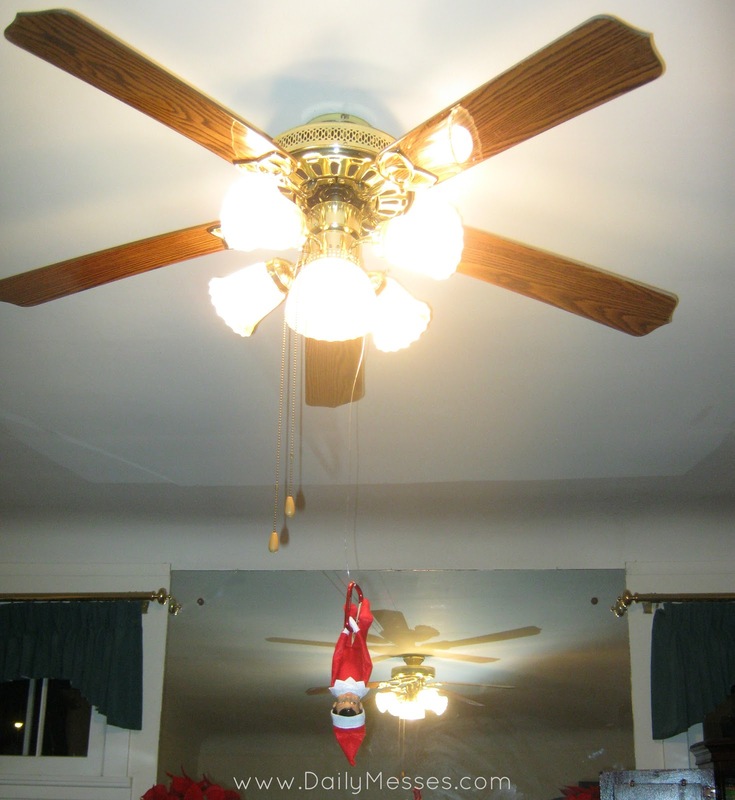 Silly elf.